Dedicated to personal service and competitive prices, Judi of Croix is the car rental company people come back to. Locally owned and operated, we want to help you enjoy our beautiful island. We offer a full range of late-model cars at competitive prices. See our cars and rates. We usually deliver at the airport and get you on your way as quickly as possible. We can also deliver your car anywhere on island. 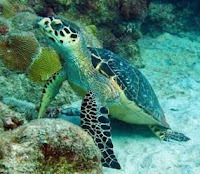 Our knowledge and love of St Croix is ready to make your visit extra special and carefree. Dropping off your car is a breeze. Short-term and long-term rates available. 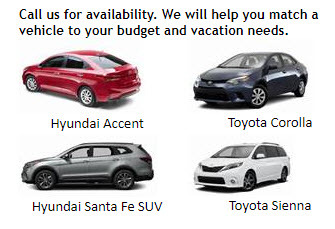 Call Brian or Millie at 877-903-2123 or 340-773-2123 (local) to discuss your car rental needs. If you get our voicemail, leave us your name, dates, and callback number. We'll get right back to you. Welcome to the Judi of Croix family! Clock Tower photo courtesy of Bernard Castillo. Background photo is of St Croix's eastern point. 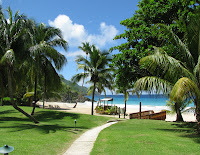 Carambola Beach, Turtle, Great Pond and Windmill photos courtesy, Neil MacQueen. All photos copyrighted.